Titre : Parcours vers les formations postobligatoires. Les deux premières années après l'école obligatoire. Résultats intermédiaires de l'étude longitudinale TREE. Parcours vers les formations postobligatoires. Les deux premières années après l'école obligatoire. Résultats intermédiaires de l'étude longitudinale TREE. [texte imprimé] / Jacques Amos ; Sandra Hupka ; OFFICE FEDERAL DE LA STATISTIQUE.Neuchâtel ; Barbara E. Stalder ; Edi Böni ; Mario Donati ; Thomas Meyer . 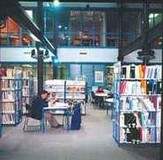 - Neuchâtel : Office fédéral de la statistique (OFS), 2003 . - 144 p.. - (Monitorage de l'éducation en Suisse) . Résumé : For the first time in many years, VETNET publishes a collection of short papers in an edited book of proceedings, which is available online and as a printed version. VETNET has had a long tradition in making ECER presentations and full papers open to a broader public. So, what’s the purpose of having “a real book”? We see it as an opportunity for VETNET to increase the visibility of current research in vocational education and training - and as an opportunity for its researchers to talk about planned, ongoing and finalised pieces of work. VETNET lives, if knowledge is shared, discussed and challenged by others. The people involved are ready to cross boundaries in their theoretical and methodological thinking and acting. The papers included in the 2018 ECER proceedings from Bolzano are written by established and well-known researchers, by doctoral students and early career researchers. They tell stories about young people and adult learners in vocational education and training, about institutional actors, teachers, trainers and coaches, and about the political, economic and social conditions that shape school-based and workplace learning, and teaching and training in initial, higher and continuous VET. Altogether, the papers reflect the rich culture of VET and VET research in Europe and abroad. The proceedings align with other activities of VETNET within EERAs annual ECERs and beyond. Having the proceedings ready before the conference was an ambitious goal. We thank all the authors and co-authors for sharing their valuable insights into current trends in vocational education and training research. Trends in Vocational Education and Training Research : Proceedings of the European Conference on Educational Research (ECER), Vocational Education and Training Network (VETNET) [document électronique] / Christof Nägele ; Barbara E. Stalder / European Conference on Educational Research (ECER) (4 to 7 September 2018; Bolzano, Italy) . - [S.l.] : Zenodo, 2018 . - 387 p.